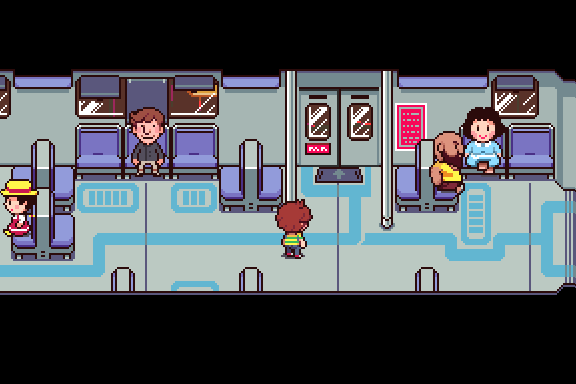 The Gay Gamer: What do you think of the fan-made Mother 4? I ask because I'm not sure what I think of this creation myself. I mean, I really can't fathom an Itoi-less Mother game having even a modicum of the charm and wit that can be found in the series' first three entries, but I also have to admit I really like how this release is shaping up in terms of its aesthetics--which are shockingly (in a good way) reminiscent of Mother 3's visuals, in my opinion. The question is, will the final product--which is expected to be released late next year for Windows, OS X and Linux--feature a script that's anywhere near as charming and emotional and intelligent as its predecessors? As I've already said, I'm not at all sure it will, but my fingers are crossed in the hopes that I'm wrong. To see more screenshots of Mother 4, or to keep track of its progress, check out the game's official website, mother4game.com. Also, let me (and everyone else who frequents this blog) know in the comments section below what you think of this fan-made sequel. 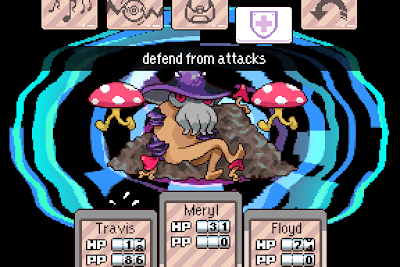 I've been watching this game develop since I first found out about it several years ago. Frankly, any fan-made sequel that is undertaken with the love that this team must feel for the Mother series is okay in my book. It's better than what Itoi is planning on giving us, which is nothing. Hoo boy. I have philosophical problems with the fan sequel concept, so basically, I find this a bit awful. I could go into the list the details (along with impassioned counterargument, because I totally get it) but that would get excessive pretty quick, so I won't. It sure looks nice though and offhand looks like it'll be high quality, though like you say, capturing the feel is going to be more than just the look. I'd feel a lot better about it if it were an "original" game that was just adhering very closely to the style, especially if it were bringing some new aspects to it. In their FAQ they mention that it's connected to the events of previous games though, so depending on how heavily it's connected it would take more than just a name change to make it into its own thing. I'd try it but only after I play Earth Bound and maybe the Mother 3 fan translation. I think it has to a chance to be good but probably not as good as a official sequel. As for Itoi not making a Mother 4,I'd only Want him to do it if he want to do it or handed it over to someone he trusted could make a good game or else we might end up with a half-assed product. 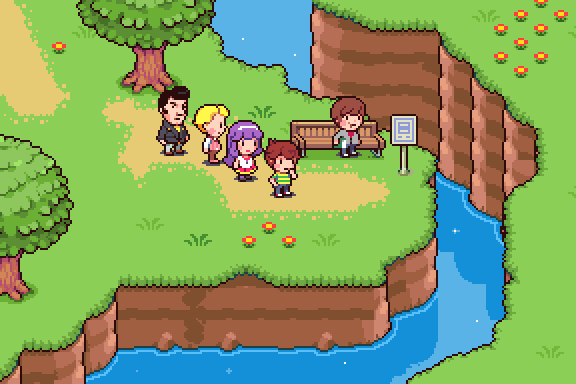 Also even though I have yet to play a mother game, I would love to see an attempt at a 3d one on Wii U or 3DS regardless if it's a remake or a brand new game especially after seeing screenshots of when Mother 3 was a Nintendo 64 disc drive game. this and enjoy the game for what it is, rather than what it isn't. And believe me, this game is a lot. I hear ya, Justin. I'm still not sure about it, though. I guess we'll see if it holds up to Itoi's work after it's finally released! I have philosophical problems with fanmade sequels, too, Michael. As such, I'd probably prefer it if people used their talent to make games that are inspired by games like Mother rather than attempt to make sequels of them. I'm surprised you've never played EarthBound, Sam! Is there a reason for that? Anyway, you should try it sometime--it's a wonderful experience. As for a new Mother game showing up on 3DS or Wii U: I'd support that in a heartbeat! Even though I'm skeptical about this game, skyrunner14, I'm definitely not writing it off. I'm curious to see how it holds up to previous, Itoi-led entries in the series. For me, the proof will be in the story. The reason I haven't played it is because I hadn't even heard of it until Super Smash Bros. Melee (I also didn't know about Metroid until Smash Bros. 64, one of the reasons I love smash is because it's introduced me to series I hadn't heard of before) and Nintendo hasn't re-released it until now so I haven't really had a chance to play it yet. I also don't have plans to buy any of the 8th gen home consoles any time soon plus I still need to buy a PS3 and I may or may not get Vita before the Wii U (I'll probably get one after the Wii U since Nintendo is my favorite publisher and there are more games (ones that have been released and ones to be released) on the Wii U that interest me but not by much) so it'll probably be awhile before I get the chance to play it, the earliest would probably be late 2014 but that's a big if. I understand that--both the not playing EarthBound and the not buying the next-gen consoles parts, Sam. I actually think it's possible I'll get a PS3 or Vita before I get a Wii U, too, Sam--although it's just as possible I'll get a Wii U first, I guess. At the moment, though, I'm fine with my good ol' 3DS.